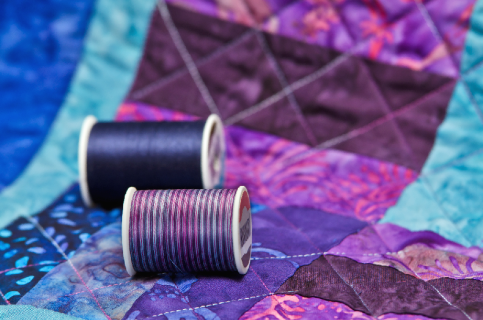 Home » Blog » A Patchwork Quilt Excel File – Does Your Procurement Organization have Similar Issues? A Patchwork Quilt Excel File – Does Your Procurement Organization have Similar Issues? Complex Excel files can sometimes be like a patchwork quilt. This can create issues for organizations that rely on them for data to support procurement decisions. I was recently asked to review an Excel file. The primary creator and user of the tool was going on an extended vacation to a remote area. He would not be readily available if questions came up and the organization wanted an independent review of the tool. The workbook was essentially being used as a database. It had been in use for more than ten years and some of the sheets had thousands of lines of data and/or formulas. The instructions for entering new data and updating the results were organized. The instructions probably had not been updated recently. I discovered this when I tried to enter a new event and it was apparent that some steps were missing. Some columns had data but there were no specific instructions for them. The instructions indicated that some fields were optional but didn’t provide guidance on what should be entered. I noted that some events apparently had not been entered. This was determined by comparing an event list maintained by another professional with those in the workbook. It seemed that some data fields which appeared to be necessary were blank. Some commands didn’t work properly in some parts of the file. This was a real head-scratcher and I didn’t have time to fully investigate these anomalies. Each month a new file was created. This was a simple backup solution. Some of the report fields were apparently updated manually from the previous month. There were amounts that didn’t tie out probably due to input errors. I recommended that they scrap the file and start over with data input and integrity controls at a minimum. I also believe that ongoing testing and review of the file is essential. I hope they don’t decide to make that choice. This is an ideal situation where moving to a cloud-based solution makes sense from a financial and operational standpoint. I am confident that it will be easy to create the value proposition supporting the change. There are other very important benefits of making the change and eliminating the reliance on one or two people. Data, reporting and analysis created in a centralized tool becomes a knowledge asset of the organization. It should create a competitive advantage or level the playing field. The knowledge base will grow and that will help the procurement group to make better and more informed decisions. The knowledge base will stay even if a key individual leaves the company. This is critical if the person joins a competitor. A new person can step into the role and can start using a tool with known protocols. They won’t have to decipher a spreadsheet that was pieced and patched together. In my experience, when someone leaves a company the new person in the roles is forced to create new workbooks because the documentation is incomplete or errors start showing up. This is a significant waste of time and perpetuates the problem. Action Step: Every organization can get better. Finding and creating success is often a matter of taking the first step. If you are uncertain where to start, a procurement professional like myself can provide guidance and expertise to help your organization achieve the results you want. If you would like to explore this topic in greater detail, please contact me.